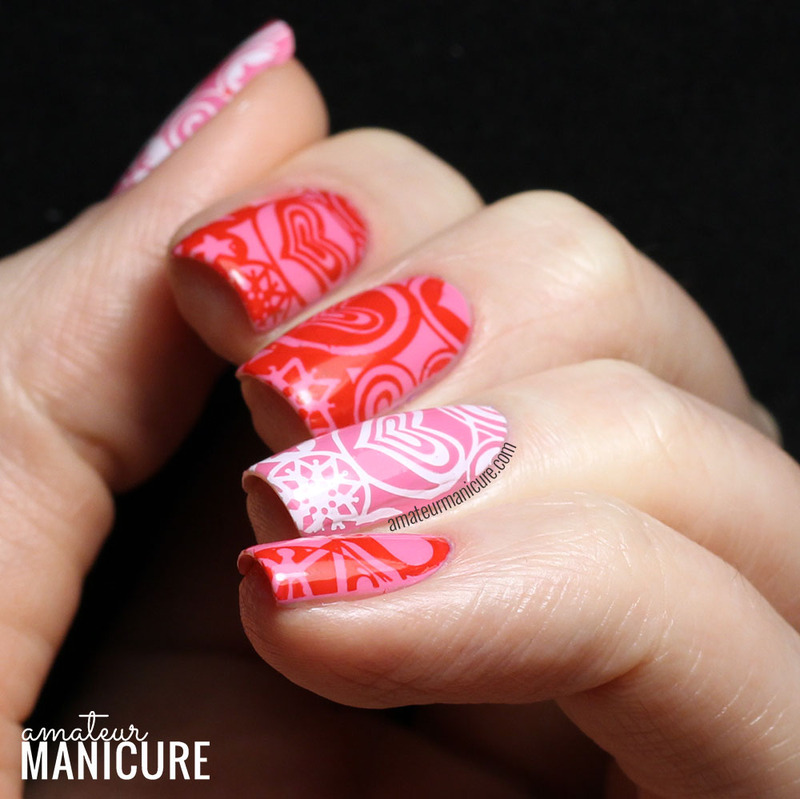 I'm not entirely sure how or when this change happened, but stamping has become my fall-back option for nail art these days when I'm short on time and/or inspiration. I can remember the not-so-distance past when stamping made me want to pull my hair out, so it's definitely a surprise to have it become my default! 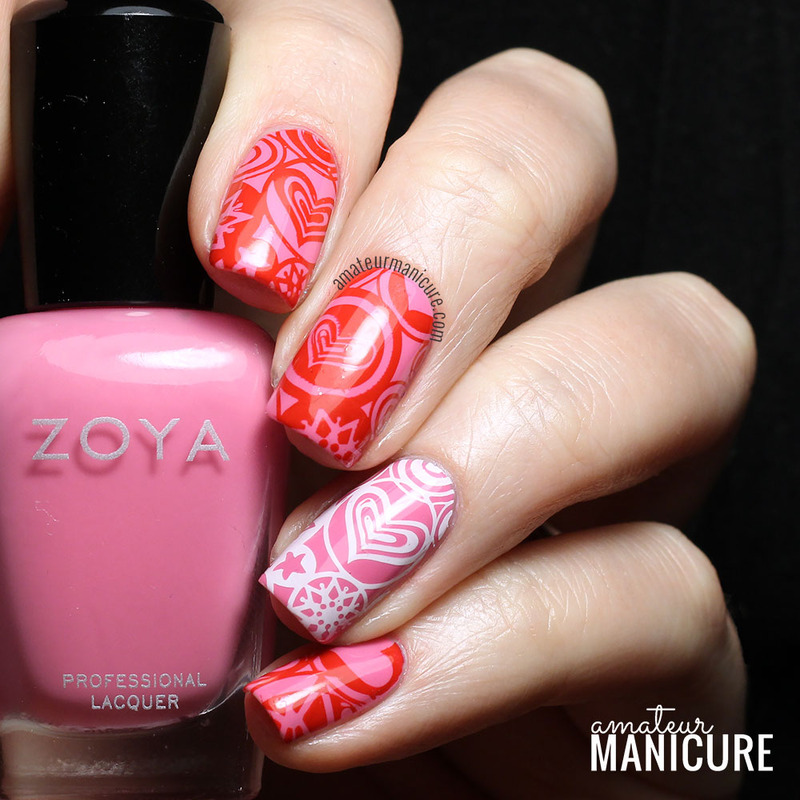 Today's simple stamping look uses Zoya Eden from their new Spring 2015 Delight Collection (swatches for the whole set coming soon!) 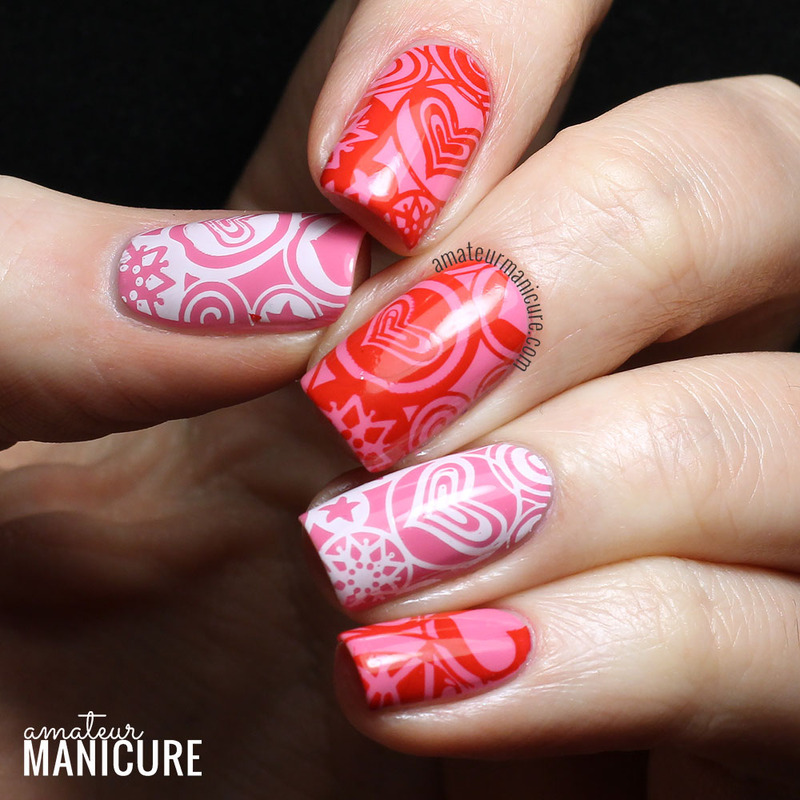 as a base, and two stamping polishes for the design: Konad Special Polish in Red and MoYou London White Knight. The plate is Pueen 63 from their 24B set. 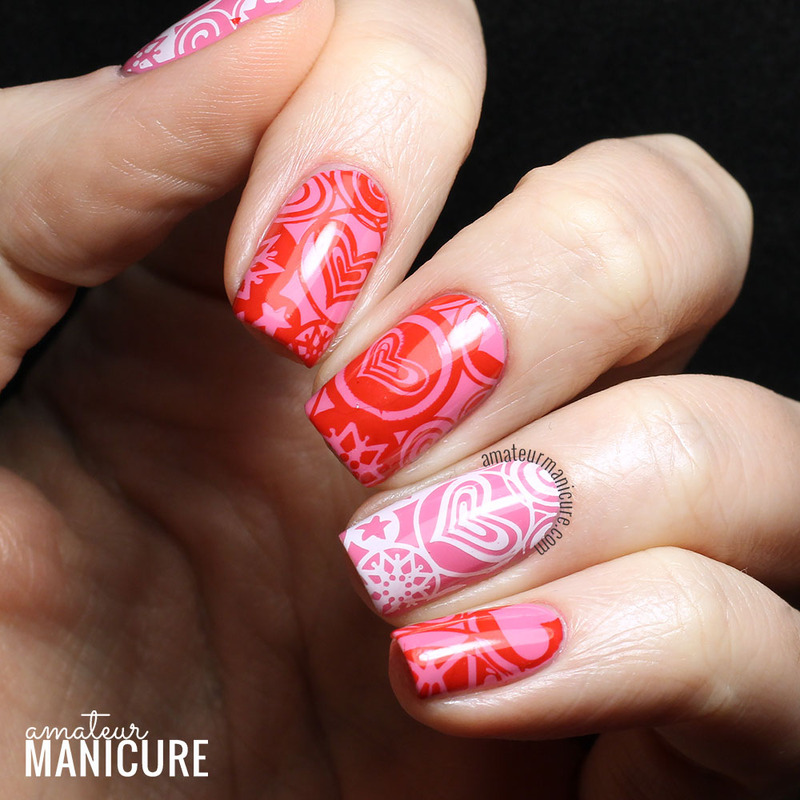 I love using actual stamping polishes—the results are always just so clear, crisp, and opaque. Both Konad and MoYou London make fantastic dedicated stamping polishes! If I'd had more time, I think I would have liked to do some reverse stamping/decal action for these: fill in the hearts with a third color, maybe, or add accent colors in the circles. Ah well, next time! Thanks for looking, and have a great weekend—whether you celebrate Valentine's Day or not! Disclosure: Some of the products in this post were provided for my consideration. All opinions are my own. For more information, please see my disclosure policy.